2015 marked the launch of City on a Hill. Our initial production, A Tale of Three Trees, premiered on March 27th of that year. Since then we have produced two major productions per year. Photos available on our Facebook page. 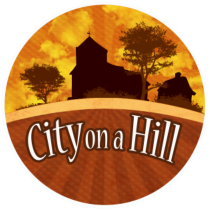 City on a Hill Arts exists to develop and deploy the God-given gifts in each and every one of us. Through the various disciplines, we will nurture a love for the creative as well as the Creator, and foster a positive and encouraging environment to explore our artistic side. Tony award-winning play, "Doubt: a Parable"
​We are truly excited to bring this timely and provocative piece to North Central Massachusetts. Join us on Friday evening and Saturday matinee for our special "Talk Back" sessions immediately following our performance. ​Visit our Facebook page for more info!